After the three degrees of Craft Freemasonry, many brethren look to “make a daily advancement in Masonic knowledge” as instructed in the Charge after Initiation. While there is evidence that a form of Mark Degree was in existence in Scotland as early as 1599, according to the earliest known English records Mark Masonry was introduced in a speculative body at Portsmouth on the 1st September 1769, when that ubiquitous Thomas Dunkerley conferred the Mark Degree on brethren of the Royal Arch Chapter of Friendship No 257. Records do not show where he got the Degree from, but all researchers into Freemasonry know of the man and his place in the history of Freemasonry. The Mark Degree was subsequently worked in many Lodges and even under the authority of the Old Grand Lodge of York, but the effect of the union in 1813 between the Ancient and Moderns was the specific recognition of the three Craft degrees including the Holy Royal Arch, thus completely excluding the Mark Degree. This led for many years to the active discouragement of the Mark Degree, nevertheless many Lodges continued to work the Degree and whilst the original circumstances would appear to have been detrimental to masonry, they were eventually to cause several leading Mark Masons to form their own Grand Mark Lodge in June 1856 with Lord Leigh as the first Grand Master. Happily by 1860 a Concordat establishing a common ceremonial, was entered into by the English Grand Mark Lodge and the Grand Chapter of Scotland and slowly the Mark Degree grew in popularity to make it, together with the Royal Arch, one of the most successful supported Degrees in Freemasonry. 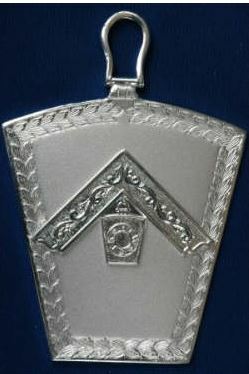 Today every candidate to be advanced in the Degree of Mark Master Mason must be a Master Mason of a regular and recognised Craft Lodge, whilst candidates for the office of Worshipful Master must normally have served as the Worshipful Master of a Craft Lodge, although in certain circumstances it is possible to obtain a dispensation. Elsewhere, the position is quite different, under the Irish Constitution the Mark Degree is taken in a Royal Arch Chapter, while in Scotland the Mark Degree can be received in two ways, either within a Royal Arch Chapter or separately in a Craft Lodge. No one under the Scottish or Irish jurisdictions can be exalted as a Royal Arch Mason without previously having been advanced as a Mark Master Mason. In the United States of America the Mark is conferred in a Royal Arch Chapter, and once again the Mark Degree is an essential preliminary to obtaining entry into Royal Arch Masonry. The organisation of a Mark Lodge is very similar to that of a Craft Lodge with some important changes. 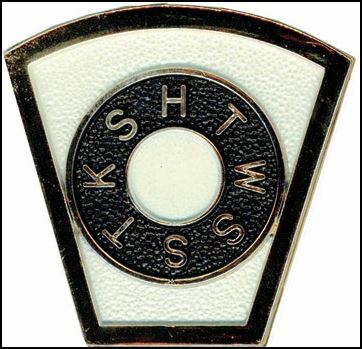 Four additional Officers are employed, three progressive, these are the Master, Senior and Junior Overseers, these are placed in the centre of the Lodge and the other officer, the Registrar of Marks, non progressive, sits adjacent to the Secretary, each has an important part to play in the Ceremony. The ceremony of admission is called Advancement and chronologically in the Solomonic legend it follows that of a Fellowcraft. It is one of the oldest and most interesting grades of Freemasonry and today incorporates two degrees, for the candidate is first acknowledged as a Mark Man then subsequently advanced as a Mark Master Mason in the same ceremony. You will be pleased to learn that only one admission fee is required. It appears that the Degree grew out of an ancient ceremony in which each craftsman selected for himself a private mark, with which he might designate his particular work and this mark was duly registered with the constituted authority. At the building of King Solomon ‘s temple and before the institution of the degree of Master Mason and Past Master, there were 80,000 operatives employed, part of whom were hewers in the quarries at Zaradatha and part builders of the temple, besides these, was a levy of 30,000 in the forest of Lebanon. In order that each of the 111,000 workmen might be known to his superior officers, every portion of the work was subjected to the closest scrutiny and each Fellowcraft received with punctuality the reward of his industry and skill, this immense number were divided into 1100 Lodges of Fellowcrafts and Entered Apprentices, the latter under the direction of the former, who taught them the work, and over the whole presided 3,300 Menatschim, Overseers, or Mark Master, three over each Lodge. These are now called The Worshipful Master, the Senior and Junior Wardens. Each Fellowcraft had a mark peculiar to himself by which is work was known and by which he was able to receive payment for his labours. The legend of the degree is singularly instructive and is well founded on statements of Holy Writ, relating to the period in the building of the Temple prior to the events of the Third Degree, it teaches the valuable lesson that education is the reward of labour and contains a dramatic message that fraud can never succeed. The symbol of the Degree is a Keystone on which is engraved certain mystic letters, the meaning of which is explained in the ceremony. The Mark Degree is an important Order for many reasons; next to the Craft and Royal Arch it is the largest of the Masonic orders and has stood the test of ages. Unlike many other Orders this degree combines Masonic thought with a lightness of touch, but it is not frivolous. Not only has the candidate learnt more about the place of Masons in the actual and speculative construction of the Temple but he has come further to appreciate both the joys and sorrows within his own masonic journey, as well as the fallibility of man and the need for utter humility before God, the ritual is full of beauty. 1. Time - Most Mark Lodges meet only 6 times a year making it easier to fit them into your already busy schedule. 2. Money - Mark Lodge dues are usually only about half of a craft lodges. 3. Complete your Second Degree - the Mark Degree is said to symbolically be the operative part of the Fellowcraft Degree. 4. Complete your knowledge of the Third Degree Tracing Board - When you were made a Master Mason, certain parts of the Tracing Board were not explained to you, these are revealed in the Mark Degree. 5. Open the way to other Degrees – Holding the Mark Degree is a pre-requisite to taking several other degrees including the Royal Ark Mariner and the Royal Arch Degrees, Royal and Select Masters Degrees, The Allied Masonic Degrees, and the Worshipful Society of Free masons, Rough masons, Waller's, Slater's, Paviours, Plaisterers and Bricklayers, otherwise known as the Operatives. 6. Friendship - The Mark is known as the "Friendly Degree" - not only because we do not let our candidates flounder "friendless" on joining the Order but this is as a consequence of the difficult times faced by the Order on the establishment of the Grand Mark Lodge in 1856 in England when the adversity no doubt bound the brethren of the new Grand Lodge more closely together. 9. The Ninth Reason is to find out why there are Nine Reasons and not Ten?